“Cameron Graves’ music is vigorous and refreshing. There is an infectious raw energy on Planetary Prince that is coupled with these terrific melodies and blistering solo work, the whole album is energizing..." In its full realization, the album only furthers that pulse-quickening, consciousness-broadening energy and maintains it over the course of nearly 80 illuminating minutes. Planetary Princecontinues that evolution, with the scope and ambition of Graves’ vision only more evident on this release. “Cameron Graves’ music is vigorous and refreshing. There is an infectious raw energy on Planetary Prince that is coupled with these terrific melodies and blistering solo work, the whole album is energizing,” reflects Mack Avenue Records’ President Denny Stilwell, speaking on the new signing. In its full realization, the album only furthers that pulse-quickening, consciousness-broadening energy and maintains it over the course of nearly 80 illuminating minutes. The core of the band is made up of fellow West Coast Get Down members, whose musical and personal relationships with Graves stretch back to their high school days: tenor saxophonist Kamasi Washington, trombonist Ryan Porter, bassist Stephen “Thundercat” Bruner, and drummer Ronald Bruner Jr. To their ranks are added trumpeter Philip Dizack and bassist Hadrien Feraud, both key members of the groundbreaking modern L.A. jazz scene. and mathematical death metal. A style so cool that it deserves it's own genre. Cameron Graves' debut release embodies a forward looking, jazz-grounded instrumental music. He leads us on a challenging and intoxicating musical journey of imagination. Graves has been playing music for over three decades, bringing a unique approach to the piano. His skill is matched by a fluid, imaginative style drawing from multiple genres. Graves' father, a singer/producer/keyboard player, initiated him into music at the age of four. Planetary Prince presents all the essentials: a classically poised introduction, a writhing beat equally beholden to slick funk and prog-metal, serpentine electric bass lines, and lean, tight jazz-combo interaction. From drums & bass through to trumpet, every instrument is performed with virtuosity & sounds crisper than a granny smith – this is electrifyingly, skin-pricklingly brilliant. If the sheer virtuosic piano work isn’t enough for you, the lineup backing Cameron Graves on Planetary Prince will more than make up for that. Besides the obvious talent of Kamasi Washington on tenor, there’s also Thundercat and Hadrien Faraud rocking the bass. 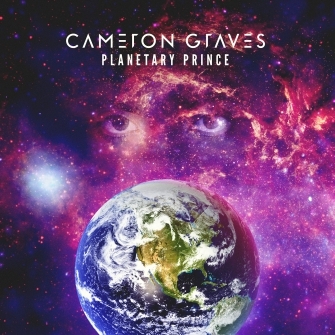 Last week, it was pianist Cameron Graves turn to front this band of one/band of many, for the drop of his stellar CD, “Planetary Prince” on Mack Avenue Records (disclaimer, more astronomical adjectives could follow). Cameron Graves, the pianist for Kamasi Washington and a founding member of the West Coast Get Down collective, makes his own searing mark with an enrapturing and assured solo album. His contrastingly romantic and ardent chord-work suggest what Rachmaninoff might have sounded like if he’d played in a contemporary fusion band. Pianist Cameron Graves was a standout, and his album “Planetary Prince”, featuring more of the Get Down, will be out in the coming weeks. Mosley’s parents also got a big shout before launching into “Abraham” (Mosley’s given first name), the record’s other single, with Graves’ “ring tone intro” setting off the piece. 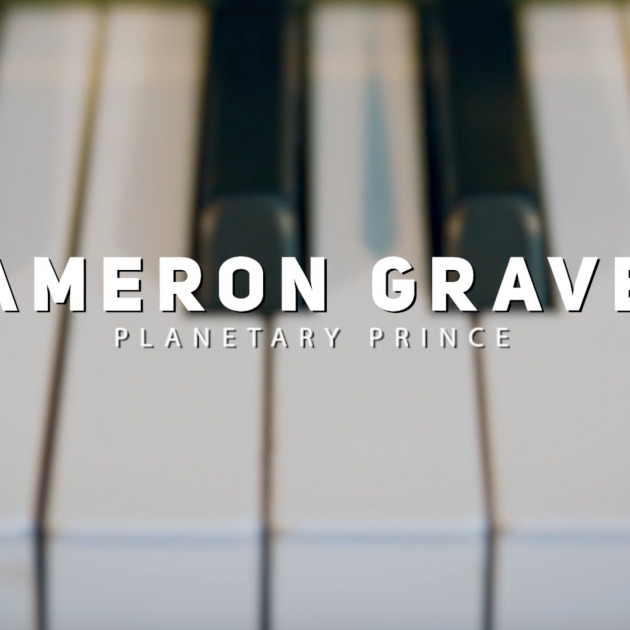 Cameron Graves, ‘Planetary Prince’ - If you’re looking for another fix of the same stuff that “The Epic” delivered, the debut album from the pianist Cameron Graves is your answer. Cameron Graves is a master, laying intricate melodic lines over driving drums and cymbal chokes. “Satania Our Solar System,” the opener, is devilish.